Canada’s west coast is a special part of the world with spectacular natural beauty. Vancouver consistently ranks as one of the world’s most livable cities. Its communities are vibrant and growing, with an economy grounded by diverse and strong business sectors. The port plays an important role in the region’s prosperity. 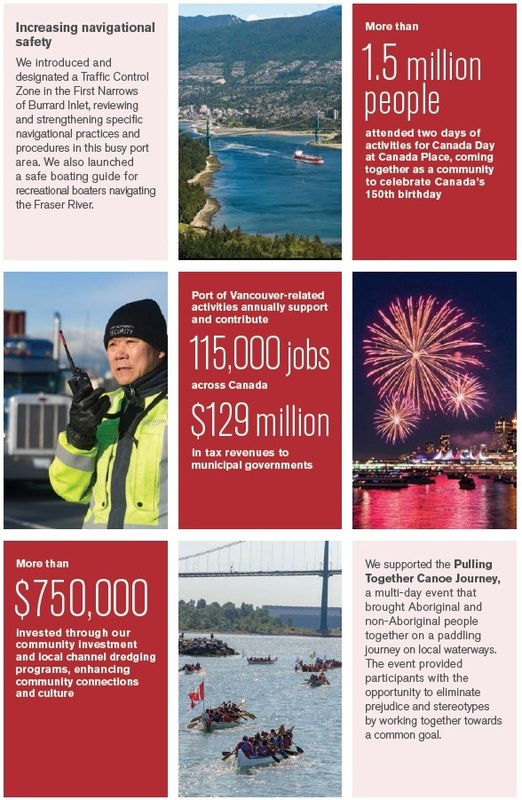 As the port authority responsible for Canada’s largest port, we carefully and constantly balance multiple priorities and interests. We facilitate trade that supports jobs in communities across the country, and also uphold port safety and security, protect the environment, and consider local community interests. 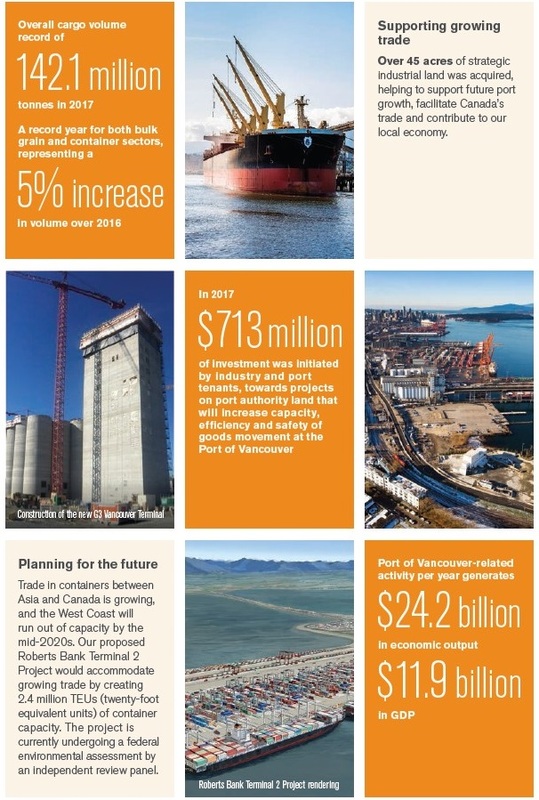 Learn about our approach to sustainability and how initiatives such as Port 2050 have helped us to imagine and plan for the future. What does it take to be the world’s most sustainable port? We believe a sustainable port delivers economic prosperity through trade, maintains a healthy environment, and enables thriving communities, through meaningful dialogue, shared aspirations and collective accountability. 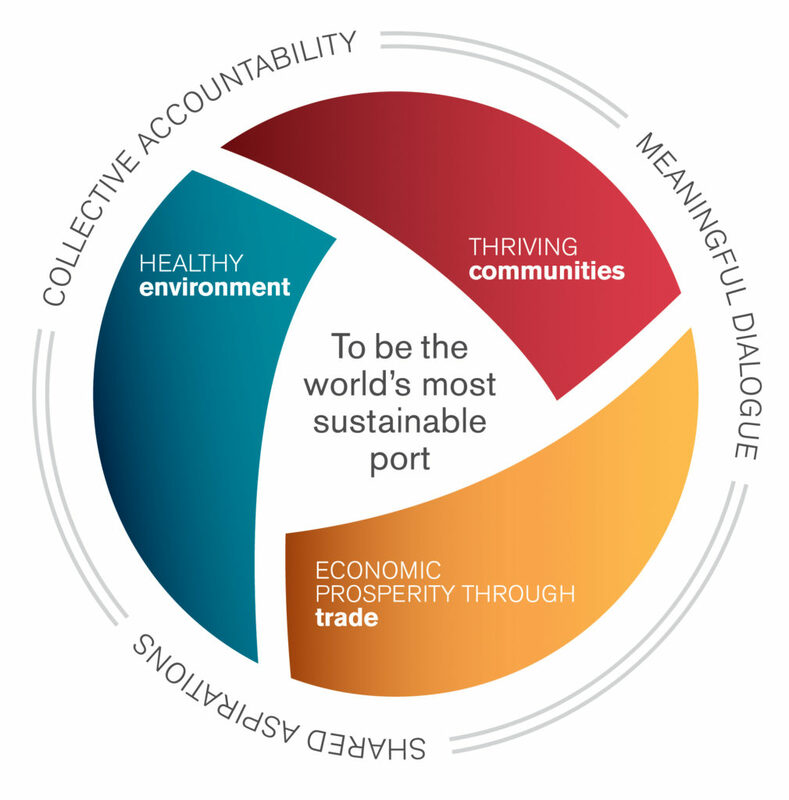 Our definition of sustainability includes 10 areas of focus and 22 statements of success, which together describe the attributes of a sustainable port. Learn how we are delivering economic prosperity through trade in our latest sustainability report. 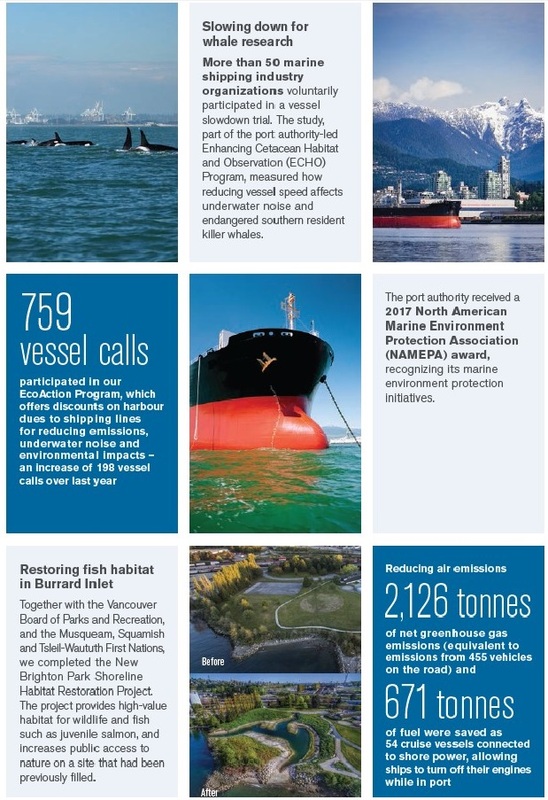 Learn how we are maintaining a healthy environment in our latest sustainability report. Learn how we are enabling thriving communities in our latest sustainability report.